Whew, it’s been a full week. Aaron started 1st grade, while Alex began preschool. Hallelujah! We also celebrated Alex’s 3rd birthday at the beach during the weekend. So now we find ourselves in a new fall routine of school, home lunches, and afternoons at the park. In the mornings when both kids are at school, I hang out with 5-month old Aria. We tidy the house, run errands, and maybe grab a latte from Starbucks. While the baby naps, I catch up on writing or reading. If I’m proactive, I plan our dinners for the week. It’s a loose plan, with flexibility to allow for leftovers from our weekly community dinners and family potlucks. Currently, I’ve been cooking lots of quick prep, large quantity meals that yield leftovers for several days. 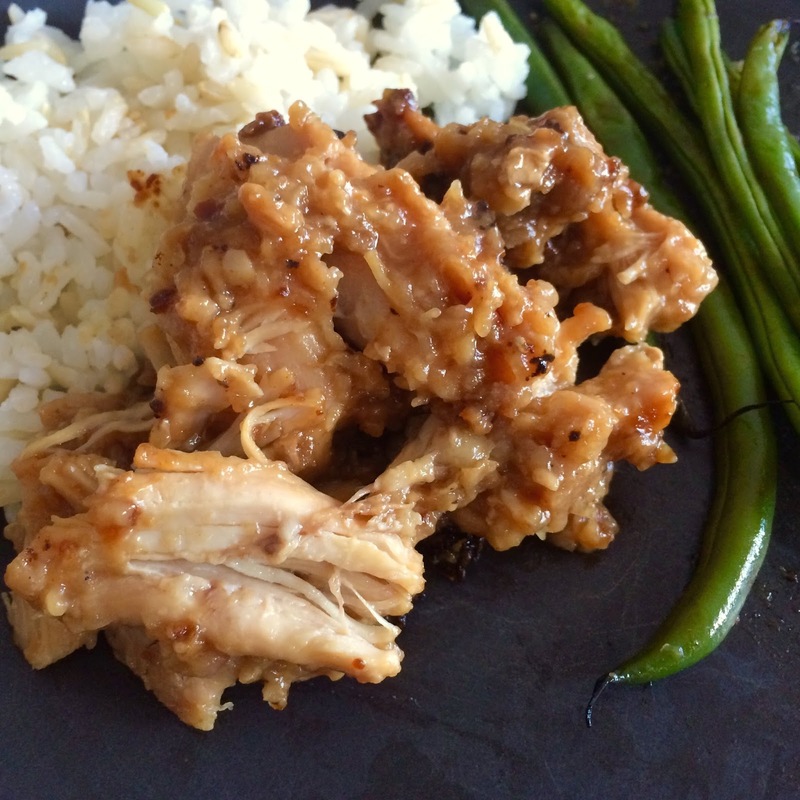 This slow cooker Chinese chicken is super easy and delicious. It has just the right amount of sweet and savory, with a slight heat. You coat the chicken with cornstarch and seasoning, mix together a simple sauce, and cook on low for 4 hours. Boom – a great, crowd-pleasing meal. In a small bowl, mix together cornstarch, salt, garlic powder, and pepper. Pour mixture into a large ziplock bag. Add chicken pieces. Seal and shake to coat the chicken. In a bowl, combine all remaining ingredients, and whisk to combine. Add half to the crockpot along with the chicken. Cook on low for 4 hours. Before serving, add remaining sauce to the crockpot. Serve over rice. Serves 4. 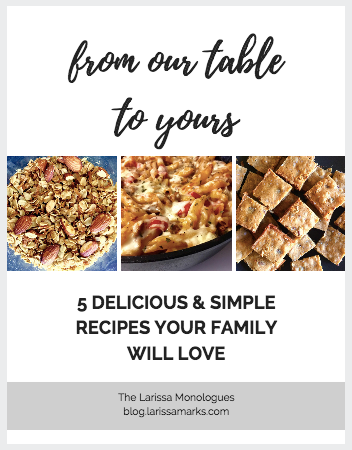 I tried this recipe and it came out amazing! Totally adding it to my rotation. Thank you!